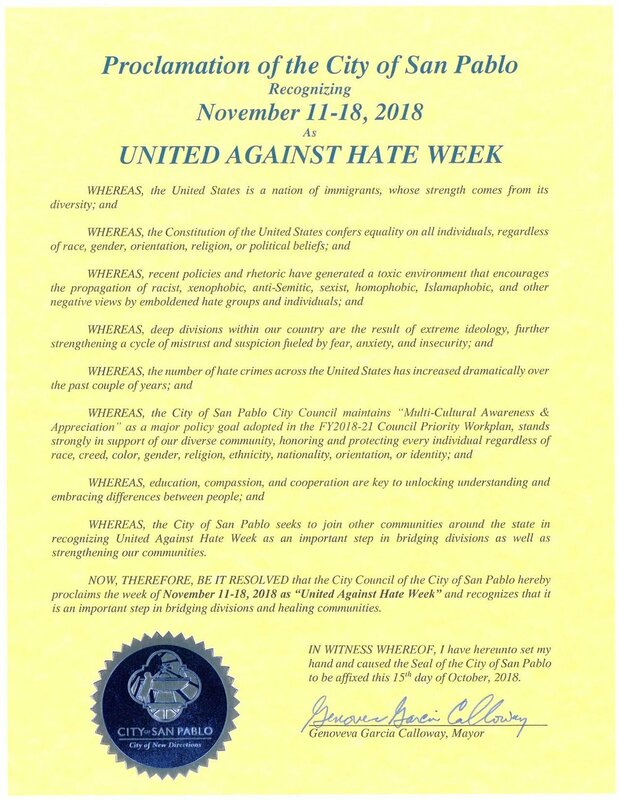 Municipalities and school districts across the Bay Area have have made their participation in United Against Hate Week official. Many cities and counties have passed resolutions in support of United Against Hate Week, November 11-18, 2018. Read proclamations below from Albany, Marin and San Pablo. Join us! If you are interested in having your town issue a resolution, contact us and we can help you get it in motion.